We regret to inform our readers that couchsideshow.com and its weekly podcast / radio show won’t be in production for the time being and possibly for the summer months. The website is ran by just editor Wade McMillin and his summer is a very busy one. 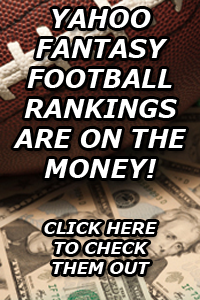 We appreciate our regular contributors such as Brett Murdock and Matthew Vinsko, but we will not be able to publish anything as the time it takes to run this website is hard to find during the summer. An update will be made about when Couch Side will return. For now, however, please be patient with us and feel free to look through our archives and past episodes on iTunes or talkshow.com. Again, our apologies. We hope everyone has a good summer. We promise that we will be back once things begin to slow down. We at Couchsideshow.com regret to inform you that we will not be airing our weekly podcast, Couch Side, this week because of changes to our website. Please check back next week for a new episode with hosts Wade McMillin and Craig Paul. Again, we apologize for any inconvience, but the back end work to our website will be worth it in the long run. Please stay tuned for more updates as we look to upgrade (and possible shut down) our website this week. Bear with us and all the latest Couch Side coverage will be back to normal before you know it. Welcome to couchsideshow.com. This is a newly created website that includes blogs, podcasts and other online content strictly created by sports fans and followers who only watch from the comfort of their couches. This website is for anyone, looking to express their opinions online about the wide world of sports. 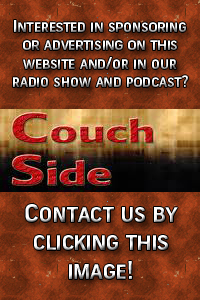 Regular contributors will be posting weekly blogs and contributing to the website’s weekly podcast, “Couch Side.” The 30 minute podcast is focused on the top headlines in all major sports and offers the fan’s perspective. Couchsideshow.com is truly for the common fan. It’s our mission to offer a place for the average follower to sound off about their teams, bad trades, whatever. 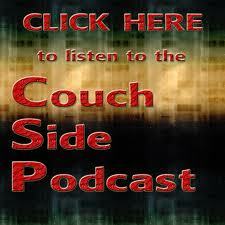 And if you’re interested in contribution, couchsideshow.com will edit and post your blogs, podcasts or other media. For the typical fan’s voice to be heard, they have to speak out somewhere. Let that be from your Couch Side and let couchsideshow.com help you to express yourself. Expect more to come from this website as it is currently under development. Thank you for visiting and we hope you enjoy!